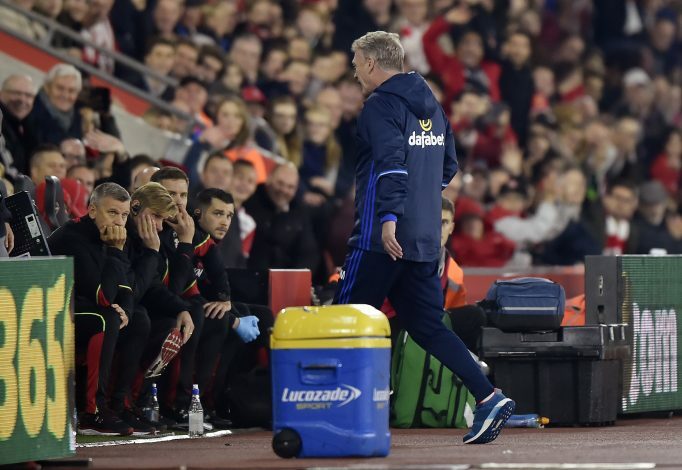 Sunderland manager David Moyes has been charged with misconduct by the FA, following his team’s loss to Southampton in the EFL Cup. Moyes has had a really shaky start to his reign as Sunderland boss, and his team currently sits right at the bottom of the Premier League table, having accumulated just 2 points in 9 games. The Black Cats were also knocked out of the EFL Cup on Wednesday, after they were defeated 1-0 by Southampton, thanks to Saints’ record signing Sofiane Boufal’s brilliant strike. And now, the Scot’s fortune has turned from bad to worse, as the FA has charged him with misconduct for his behavior during the aforementioned EFL Cup game. 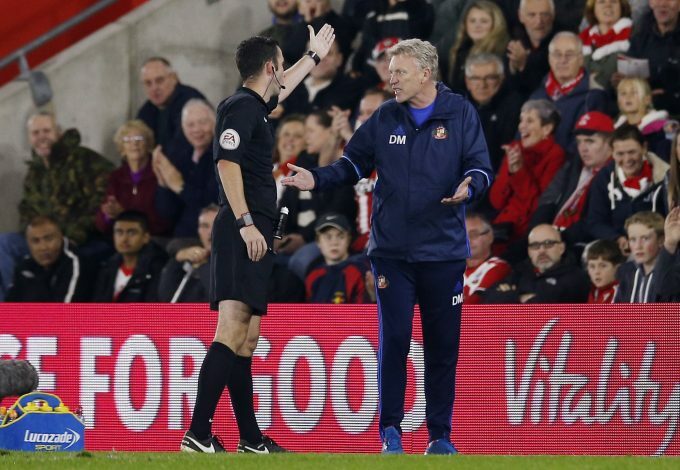 During the 90th minute of the match, David Moyes was seen charging at the referee, Chris Kavanagh, after he waved off the appeals of a foul on Sunderland forward Victor Anichebe in the penalty box, thereby denying them a late spot kick. Moyes spoke out about the incident in his post-match interview, stating: “I was sent off for leaving my box and swearing at the fourth official. “The problem was he chased me down the touchline. I swore at him and I shouldn’t have done so I deserved to be sent off. 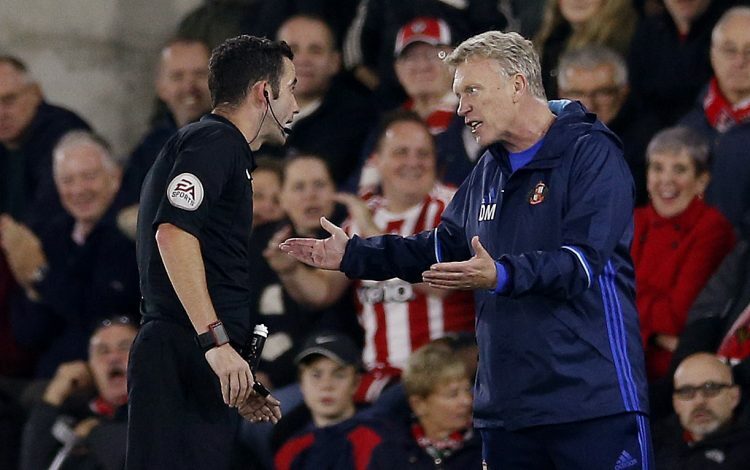 As per the Football Association, Moyes has now been charged for using “abusive and/or insulting words towards a match official”. The former Everton and Manchester United manager has until 6PM of the 1st of November to respond to the charge.